Utility Truck Bodies For Sale | T.P. Trailers, Inc.
Our line of utility & service truck bodies can be made of heavy-duty galvannealed steel or long-lasting, lightweight aluminum. Our manufacturers know you have a job to do, so let us take care of your utility, service and crane body needs. Utility and service bodies are perfect for keeping your tools and supplies safe and organized. 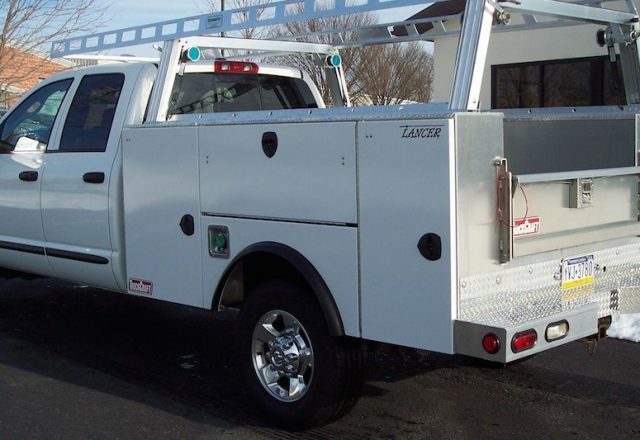 Along with giving you the ultimate utility truck bodies, they will also offer you the best in productivity and performance. Want to add a crane to that truck body we can do that too. Call us today to learn more. The LANCER is designed to be environmentally friendly. The light aluminum service body will help to keep fuel cost slow and last longer. It is available for single or dual wheel pickup chassis and it combines a classy powder–coated cabinet doors and stainless steel hardware. Get long–lasting quality with the aluminum body that requires little to no maintenance. 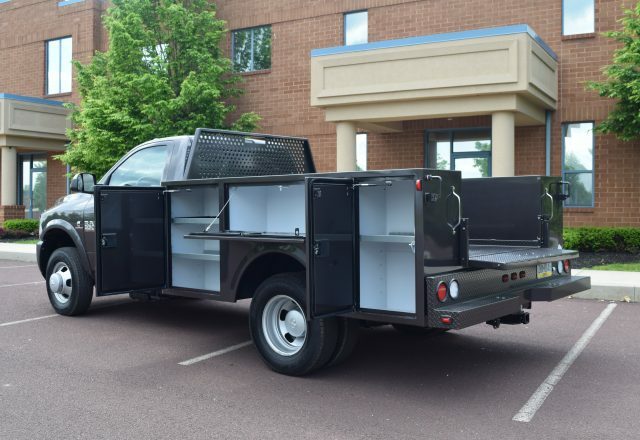 The value of TruckCraft’s LANCER body shines through its resourceful features such as bright diamond plate cabinet tops, adjustable cabinet shelving, gas springs on vertical doors, D–bulb rubber door weather seal, and five–year factory warranty. Enjoy an easier way of getting the job down with extra features such as remote keyless door locks and internal LED lighting. Call our sales representative today and get the TruckCraft difference of value and quality. Warner bodies are top of the line and break away from the pack with their innovative state–of–the–art technologies that will exceed expectations and go beyond the standards of manufacturing. With a Warner utility body, the fit, finish, quality and value will withstand the toughest jobs and keep tools and supplies organized between jobs and keep your productivity flowing. This is why they have manufactured multiple styles that are available at T.P. Trailers and Truck Equipment. Call our representative today to speak about getting a custom service body from Warner to meet your specific needs with multiple features and options. I looked all over Eastern PA at trailers. TP had the best price hands down. Not to mention great service. Will recommend TP to all.